Sports betting tips are a handy way to get one step ahead and increase your chances of winning. There are so many sports to bet on and each one has its own unique niches to bet on. 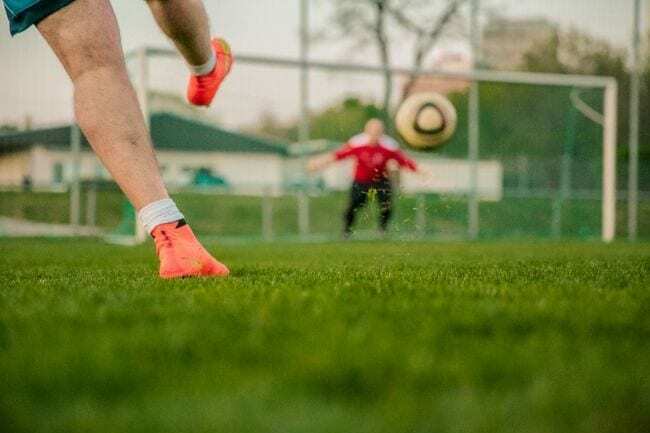 Whether it’s who scores the first goal in football, or how long the National Anthem takes to be sung in the NFL Super Bowl, having a bet on every aspect of sports is a fun way to get yourself more involved in your chosen sport. If you wish to place bets on NFL, make sure to have a look at our NFL betting sites page. Don’t forget to check out the NFL bet tips too! Your mate at the pub! If you are placing a bet on sport then you’ll want your tips to have some sort of logical base to them. It’s all well and good your friend in the pub giving you a ‘dead cert’ but how much of it is based on fact? The more fact-based they are the more chance they have of coming in for you. Free sports betting tips are available from multiple sources but you should consider where they are coming from and how reliable you think it will be. For example, if you went onto a Chelsea football forum and a fan told you to place a football bet on Chelsea beating Liverpool 10-0 in their next game, would you consider that a reliable tip? Of course not – the fan is understandably biased towards their team, and the scoreline is extremely unlikely. Not only that, they have provided no reason for why they think Chelsea will do so well. There isn’t one solid fact, just excitable conjecture. While every fan probably has inflated predictions such as this for their respective team, they are no basis for solid sports betting tips. The information that career tipsters provide is based on pure, hard facts and years of accumulated knowledge. These are the free bet tips that you should be taking notice of because they are the ones that are regularly proven right. Betting tipsters online are professional sports junkies that like nothing better than to explore every inch of the sport that they specialise in. More often than not they know the people behind the scenes who can give them information that is not widely available to the public. This could be anyone from a stable hand at a horse racing paddock, to a lawnsman at Wimbledon, to a boxing trainer confident they have the next big thing sparring in the gym. A good tipster scours all the available information and then digs a little deeper still. They correlate all this information together and then make an educated and informed prediction that will make for a great sports betting tip. Sportsbooks sites will often have their own tips, see our Bet365 Sport review or Genting Bet review page for brands to use when placing bets. Think of it this way; tipsters are only as good as their last tip. If they regularly provide information that proves to be incorrect then they will have no job! It is in their interest to ensure that the information they base their predictions on are as concrete as they can get. Of course, no tip is completely infallible as unforeseen issues can change the outcome of a sporting event, but the tipsters will do their very best to be accurate as much as possible. Sport betting tips in the UK account for the vast majority of bets placed every day. People also like to bet on things like talent show results or who the next James Bond might be, but the vast majority of bets placed are on sporting events. Sports are truly global and there’s always a sporting event on at any given time and in any given country. As the football season winds down, Wimbledon begins. As the baseball betting season draws to a close there will be a cricket event in India. If you wish to bet on cricket, make sure to visit our cricket bet page. Rugby tournaments will be played in Australia while on the other side of the world, a Formula 1 race will be played out in Europe. Many F1 bet tips will be available online if you’re interested in these events. The thing about sports fans is that they are fanatical about their chosen sport. They know everything there is to know about it and being able to bet on all the different aspects of it is truly exciting. You can even bet midway through a game on your mobile phone and get up-to-the-minute odds which make placing bets all the more interesting. Sportsbook bet tips are particularly useful because they specialise in providing tips for sporting events. They usually have the skinny on sporting events before anyone else does and so have the access to the best information on which to form a tip on. Sportsbook tipsters normally know the games and the races inside out. They base their odds on what information they can gather together and they better do it right. Overcut the odds and no one will place a bet, undercut the odds and they could lose out massively to the punters. The best betting tipsters are those that have been in the job for a while and have amassed a fountain of knowledge. An expert in a sport is the best possible tipster you could ask for because they are so passionate about what they do. With all this information at their disposal, they can make an accurate betting tip. It’s the same for any sport; find a tipster that knows the ins and outs of their particular sport and the tips that they provide will be the most accurate ones around.